Traci Johnson, of Crye-Leike Real Estate Services, is proud to announce a consignment sale of which a portion of the proceeds and items not picked up benefited victims of domestic violence. This was a wonderfully humanitarian event of which a portion helped support Morning Star Sanctuary. This generosity will further enable Morning Star to continue making a real difference in the lives of domestic violence victims. The mission of Morning Star Sanctuary is to provide refuge for victims and children who have fled abusive relationships and to help empower them to break the cycle of violence that controls their lives. “Morning Star aims to make a difference one life at a time,” said Johnson, who has donated left items from the sale to Morning Star for many years. The next Jiminy Cricket’s Consignment Sale will take place this July (dates TBD). For more information, please visit http://www.nashvilleparent.com/directories/jiminy-crickets-consignment-sale. To donate directly to Morning Star Sanctuary, please visit http://www.morningstarsanctuary.org/DONATE.html. Nashville native Traci Johnson, who has been featured on House Hunters, sells to a multitude of buyers, investors, buyers relocating and luxury home buyers, a lot of whom are in the music business, who start as clients but soon become friends. 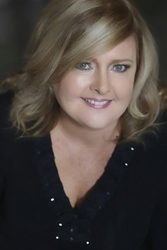 Traci, the former president of the Women’s Council of Realtors for Middle Tennessee, is a Certified Residential Specialist (CRS) and Graduate, REALTOR Institute (GRI). For more information, please call Traci’s cell at (615) 812-9080 or the office at (615) 391-9080.